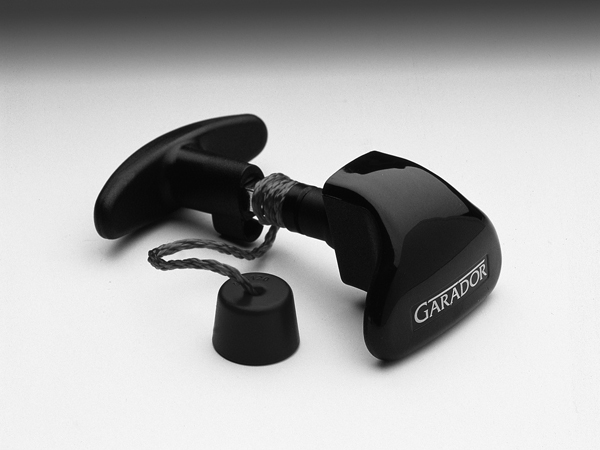 Garador black plastic garage door handle as fiited to Garador's from June 2003. This handle has a 8.9mm square shaft with an internal M5 thread, overall length including shaft 98mm. Internal handle and M5 fixing screw included.